Indians, or readers in general from any territory of the world, will not be reading a first novel where mythology has been fused into the flavour of the fiction. The trend is already underway with Amish Tripathi (Shiva Trilogy) and Anand Neelakantan (Asura, Tale of the Vanquished) who chose to set their novels in the mythological background from Hindu Puranas and Epics. The trend has taken readers over. The runaway success of these authors is a standup testimony. It is, however, not easy to retell tales, whose characters are instilled in readers. But these authors have succeeded in adding a new dimension to their stories, about which readers were, to a large extent, unaware. Far from making passing judgements on the authenticity of their thought process, the reader response suggests their urge to re-know characters from either The Mahabharata or The Ramayana. Samhit Arni has told the story through The Ramayana‘s female characters—Kaikeyi and Surpanakha. Both of these are identified as negative and malevolent, since their actions had a deep impact on Rama—the hero, also worshipped as god. While the reader response to this book is keenly awaited, this has its Italian rights already sold. 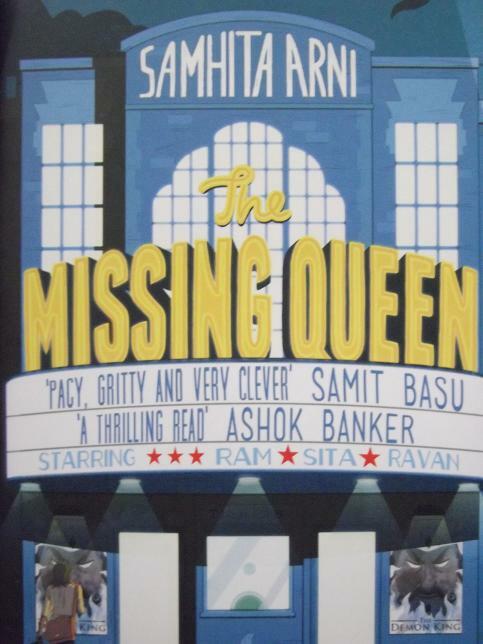 The Missing Queen has been published by Penguin and Zubaan Books and is priced at Rs. 399.